As a self-proclaimed girly girl, of course I love to get dressed up but there’s just something about lounging around in a comfy set of PJs! Today I’m sharing twelve of my favorite pajama sets under $50. Happy almost weekend, y’all! Let me first introduce you to this pajama set from Target. You’ve probably seen me post it on Instagram and I can’t tell you enough how obsessed I am with these PJs! They are incredibly soft (95% modal), don’t wrinkle and are only $20!!! I consider them dupes for the Eberjey pajamas which run you over $100. If you are on the hunt for some new pajamas I cannot recommend these enough! The striped floral print is my absolute fave but I just picked them up in black. 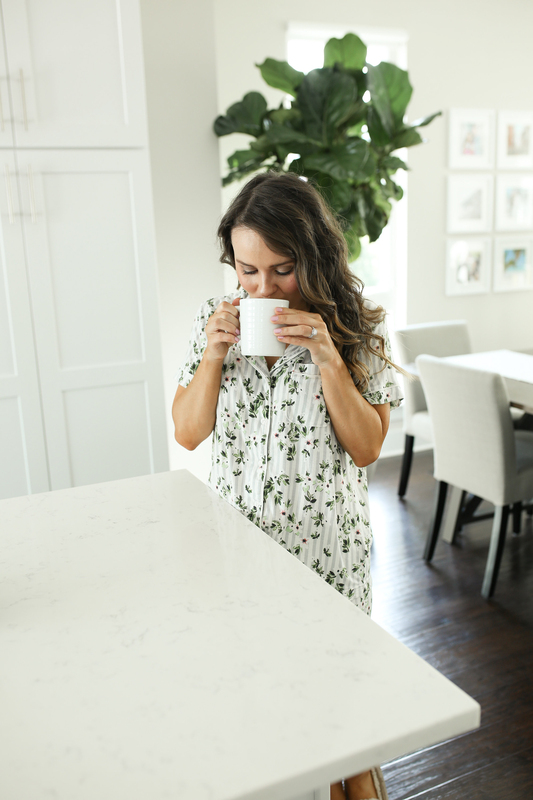 Below I have rounded up my favorite pajama sets that are all under $50- you can click on any of the items to shop! Do you guys have any fun plans for LDW? I have to work every day but Sunday but am excited because two of my girlfriends are coming to town on Saturday and we’re having a much overdue girls night. Thanks for reading and hope y’all have a great weekend! I love these pjs! Seriously so cute! Target seriously has the best PJs and the ones you are so cute! These pajamas are so cute, love the price-so good!! I have these pajamas in black, grey and a lemon print. They are the BEST! I might just need this print also! I love them all!! Those are my type of pj’s <3 Btw I'm soooo in love with your kitchen. It's gorgeous! Just today I was saying I need to PJ sets. Love the one you are wearing. These pajamas are seriously so cute! I love the print and the ones you’ve listed !! So many cute ideas here. I’m convinced there’s nothing better than new, soft pajamas… I’ve lived in mine all day today, lol. These pj sets are so cute! I love pj sets! I have such a PJ addiction – these are adorable!! Need them ASAP! I love cute PJ sets like this. I want all of the ones you have pictured! I loveee cute pajamas! Definitely need to give these a look!